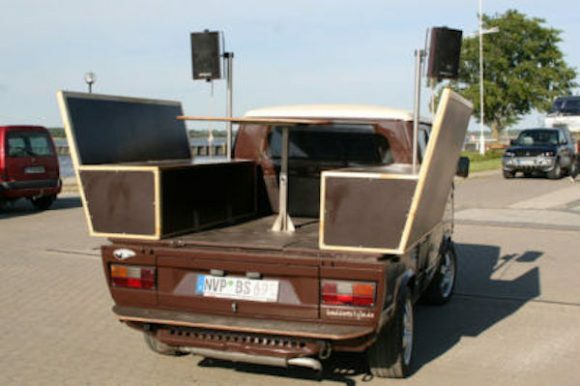 Check out this party doka that is posted on The Samba. 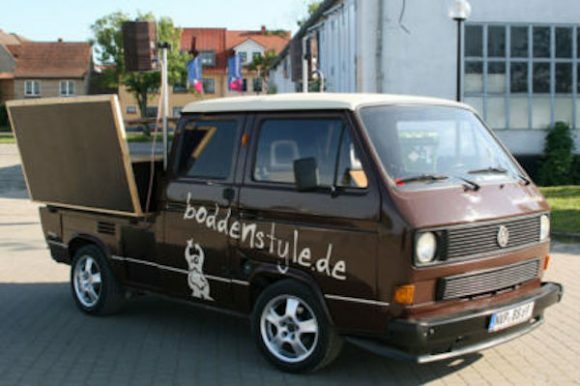 Their website seems to be out of commission so I can’t tell if it is for rent, but it’s an interesting use of a VW Doka. 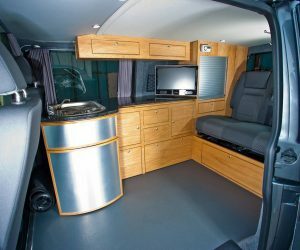 She has a table and booth seats on the back with speakers above. Very cool. Click through for another pic.